When was the last time you biked across the country? For most of us, the answer is probably never. However, there are a few incredible cycling events that set out on this trek in the name of philanthropy. On par with the traditional run/walk, the cycling event has been a classic fundraising idea for nonprofit organizations. Some organizations take it to the next level by stretching the course across the country. Due to their sheer distance and physical demands, cross-country cycling events challenge supporters to really step up for the causes they’re passionate about. So how can you engage participants and increase your ride’s chances of success? Here, we take a look at three recent cross-country rides and how they engaged their supporters, along with takeaways from each to try in your next cycling event (whether it’s local or cross-country). On the heels of National Prostate Cancer Awareness Month, the second annual 1400 Miles “Big Ride” spurred cyclists across the country from September 25th to October 8th to fight prostate cancer. 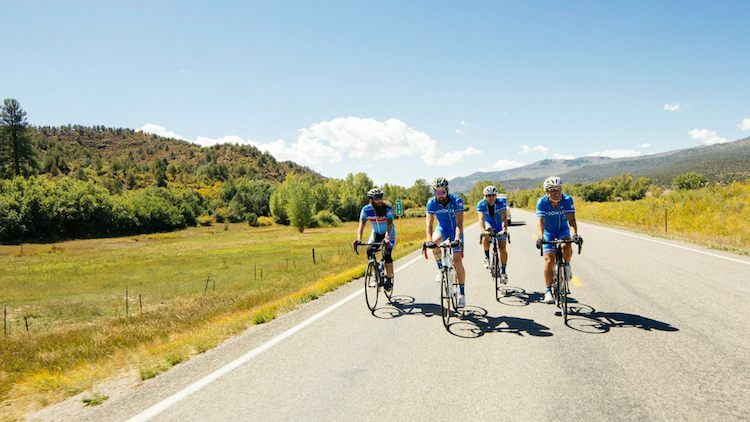 Supporters participated in a 1,400-mile bike journey from Austin, Texas, to Denver, Colorado, to raise funds and awareness for prostate health. All the funds will be split between Pints for Prostates and the Prostate Conditions Education Council. Since its launch, creator Davis Trucker’s vision for the event has been to make the difficult conversation surrounding prostate health more comfortable. Bikes and beers were the resounding answer – so 1400 Miles partnered with breweries to perk up bike rides and fundraising events along the way. In fact, the Big Ride culminated at the Great American Beer Festival! A 1,400 mile-ride is quite the challenging feat. Participants could participate in the entire ride, or they could break down their journey into a series of 5 legs. Each leg required teams to fundraise $2,800 per person. Depending on their fundraising results, teams could send a different member to complete each stretch. Along the route, community rides and parties continued the rally around the cause. Community ride participants chose among a range of mile options, and they could either pay a flat registration fee or fundraise (with an upfront personal donation) to enter. Fundraisers were also offered additional incentives for raising more than the minimum, including jerseys, cycling kits and pint glasses. All tickets included entry to a follow-up party. While the Big Ride missed its lofty $300,000 goal, the event engaged a community of passionate supporters and raised $43,380 for prostate cancer awareness and education. Fundraise to enter each leg of the race: Asking people to raise a certain amount to enter your race is an excellent way to raise funds and engage supporters. If your race covers a lot of ground, you can stretch these benefits by applying a fundraising requirement to multiple parts of your event. Instead of requiring a one-sum minimum to participate in the entire ride, break your race into a series of legs, and ask each person to fundraise a certain amount to enter each leg. This can break up a large fundraising goal into more tangible, achievable benchmarks. It can also engage your dedicated fundraisers to a whole new level, motivating them to hit each goal in order to complete your cross-country challenge. 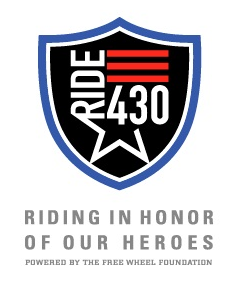 Powered by the Free Wheel Foundation, an organization that supports veterans and the families of injured and fallen heroes, the RIDE 430 challenge is a four-day, 430-mile journey that raises hope and support for our nation’s injured military service people and their families. From October 8th through the 11th, cyclists trekked through the steep mountains of northern Arizona, covering over 100 miles each day. Their physical strength was only matched by their fundraising prowess; every participant was asked to fundraise, and the average rider raised more than $6,600 by the end of the campaign. Altogether, supporters smashed the event’s initial goal of $350,000, raising more than $440,000 for the extremely worthy cause! The event raises money to support veterans and their families, but it also enables injured military heroes to participate in the challenge. This year, Airman Ryan Pinney, who is paralyzed from the waist down, participated in his first 430-mile journey on a hand cycle – a resource funded by the RIDE 430 Challenge. By providing adaptive sports equipment to injured veterans, the foundation empowers the very people it serves to take part in the ride, demonstrating the real, tangible results of its work. Bridge the gap between your event and the people you serve: Sharing the stories of people you serve connects supporters to your cause on a deeper, emotional level. Intensify this emotional impact by finding a way to involve your beneficiaries in your actual event and connect them directly with your supporters. 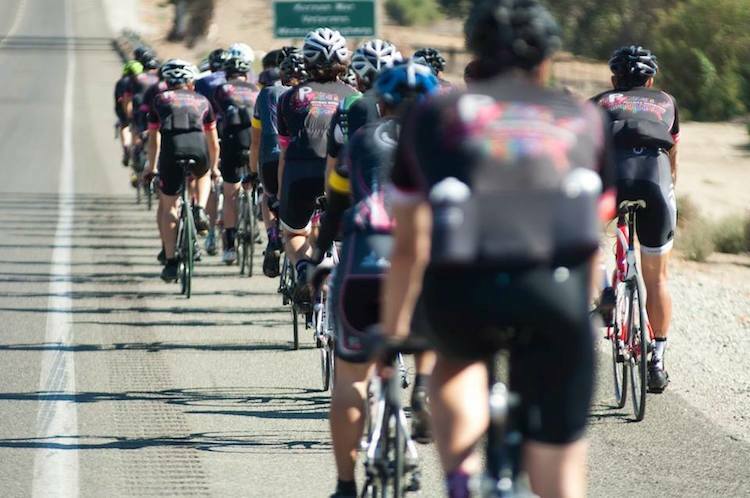 Our third cross-country ride comes from the Pablove Foundation, an organization dedicated to funding innovative pediatric cancer research, educating and empowering families affected by cancer, and improving the lives of children living with cancer through art programs. From October 17th to the 23rd, the foundation’s sixth annual Pablove Across America ride took cyclists on a week-long journey from Austin to New Orleans to fight childhood cancer. Year after year, the ride attracts both first-time participants and professional cyclists because it offers a professional-grade experience that supports a worthy cause. Throughout the course, professional mechanics and soigneurs provide all riders a training plan, roadside support and assistance, individual coaching, massages, hotel accommodations, and wholesome meals. To earn one of the 40 coveted spots on the ride, each participant must raise a minimum of $7,000. Riders who opt for one of the 7 one-day rides are also asked to raise at least $1,000. Although Pablove Across America hasn’t reached its $250,000 goal yet, the ride is still ramping up and has passed its halfway benchmark with an impressive $135,638. • Recruit amateur cyclists and hobbyists to volunteer! Whether you’re planning a multi-mile course or cross-country journey, we hope these topnotch examples have inspired your event planning and ideas. In either case, don’t be afraid to go the extra mile to engage your fundraising community. You might be surprised at how passionately they respond to your call!